We now have 1,600 row feet ready to plant. We will start planting on Monday. 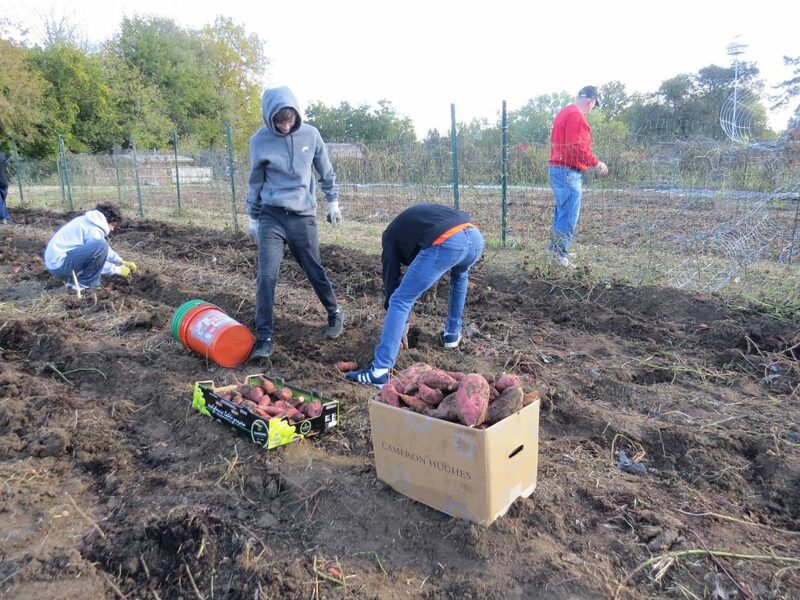 High School students harvesting sweet potatoes last fall. 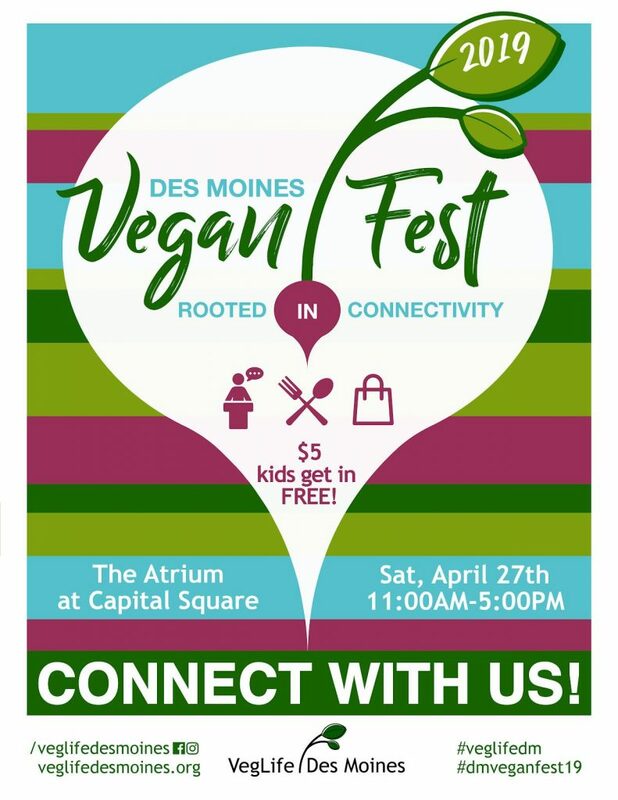 Want to learn more about the vegan diet or would you like to meet local vegans? Here’s your opportunity! – Speakers on nutrition, eating on a budget and zero waste, among others! 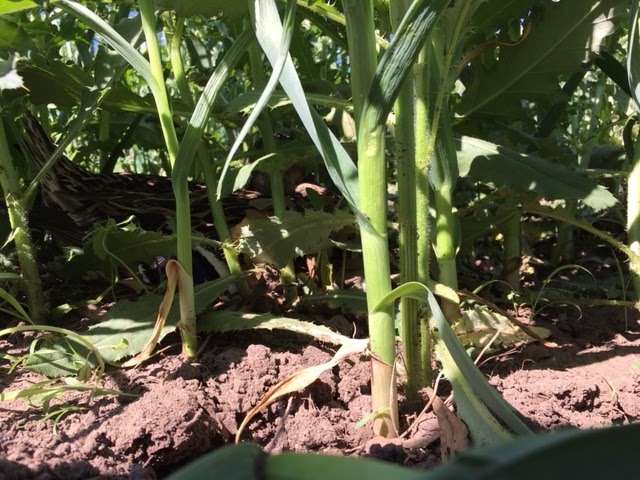 “Sustainable” has long been the rallying cry of agricultural progressives; given that much of our nation’s farm and ranch land is already degraded, however, sustainable agriculture often means maintaining a less-than-ideal status quo. 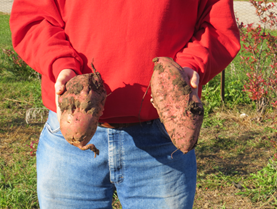 Industrial agriculture has also co-opted the term for marketing purposes without implementing better practices. Stephanie’s book signing will be at the Beaverdale Book Store on April 26th. 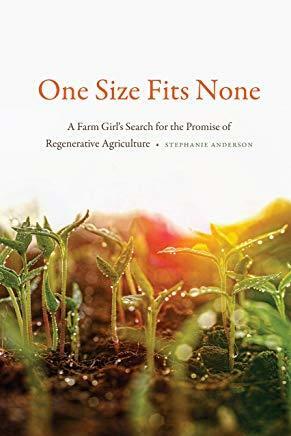 Stephanie Anderson argues that in order to provide nutrient-rich food and fight climate change, we need to move beyond sustainable to regenerative agriculture, a practice that is highly tailored to local environments and renews resources. Goldman and Mark Marshall by texting 745-9842 and 988-5381. By signing up to volunteer we can contact you in case bad weather or something else unforeseen causes us to cancel on your volunteer day. It is fast and easy to sign up. Only 28 Days Till Spring!!! 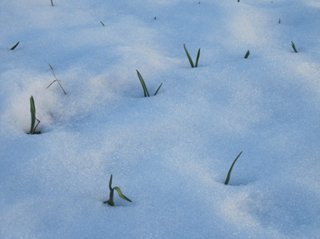 Garlic peeking through snow in January. 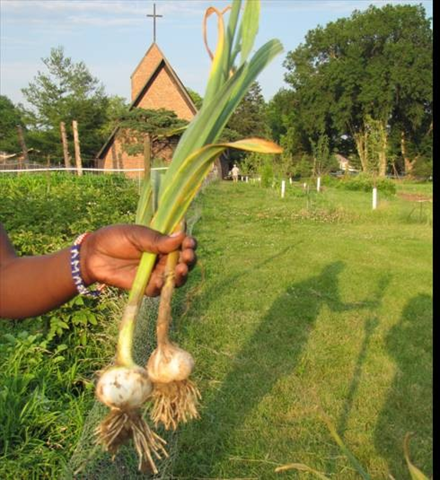 We plant garlic in the fall and harvest it in June. Beat the summer heat by volunteering in the mornings on Tuesdays and Thursdays this season. Come for all or part of the time between 7:30am and 10am. Volunteer groups are now being organized. Contact Tim Goldman for details. Join us for the 10th Annual Feed Greater Des Moines Conference. This year’s conference will focus on intersections; the intersection of refugee services and local food production and the intersection of housing and food insecurity. Attend workshops to learn how you can volunteer, donate and advocate for positive change. Sponsors include Eat Greater Des Moines, Kum & Go, 818 Design, Campbell’s Nutrition, Community Choice Credit Union, Grand View University, United Way of Central Iowa and WesleyLife. Garden Coordinator Mark Marshall enjoying the off season in Hawaii…. Mark Marshall and wife Sandy like to vacation in Hawaii once gardening season ends. They enjoy the ocean and time on the beach. Sandy says it’s a great time for Mark to really relax….until he spied a church garden that needed some weeding last week. Mark, hope you are enjoying your time away! Looking back at last season – over 11,000 pounds donated! We think it also may be of some interest to organic gardeners and small farmers. 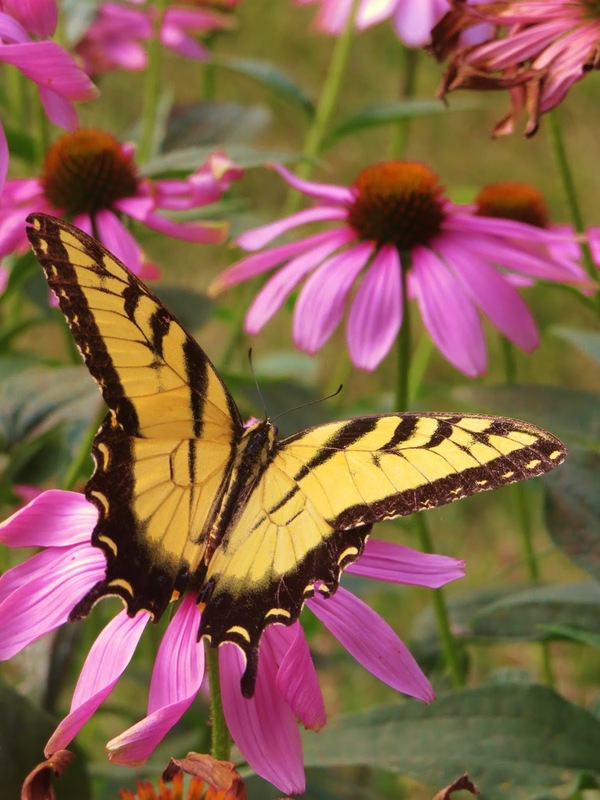 Created by Purdue University Extension. 240 pp. 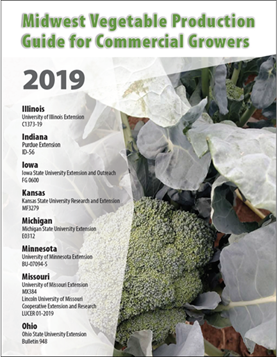 Available in hard copy from ISU Extension ($15), or as a free PDF from Purdue University. 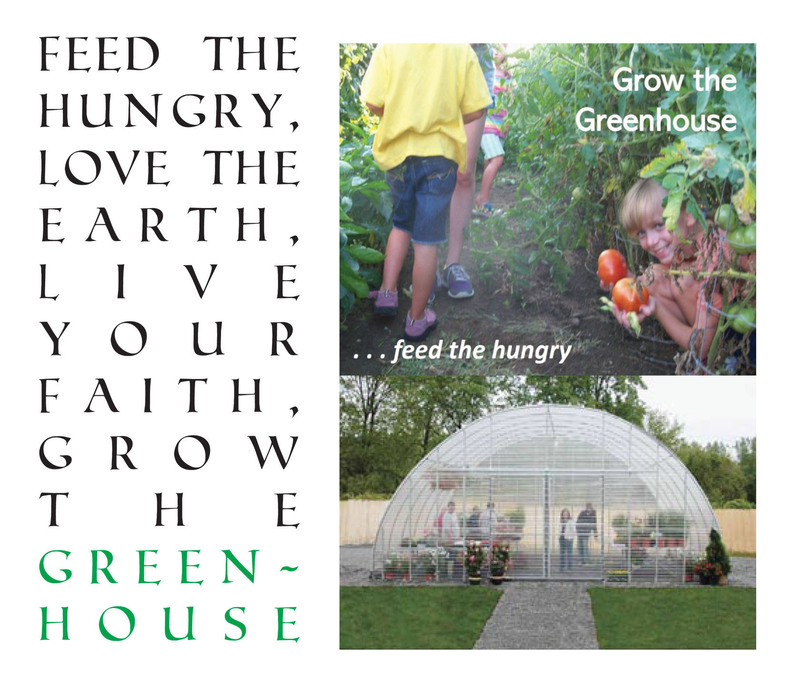 Donate Today to Help Us Grow a Greenhouse! Click Here to Donate and Make this Greenhouse a Reality! The Faith & Grace Garden is a food pantry garden. 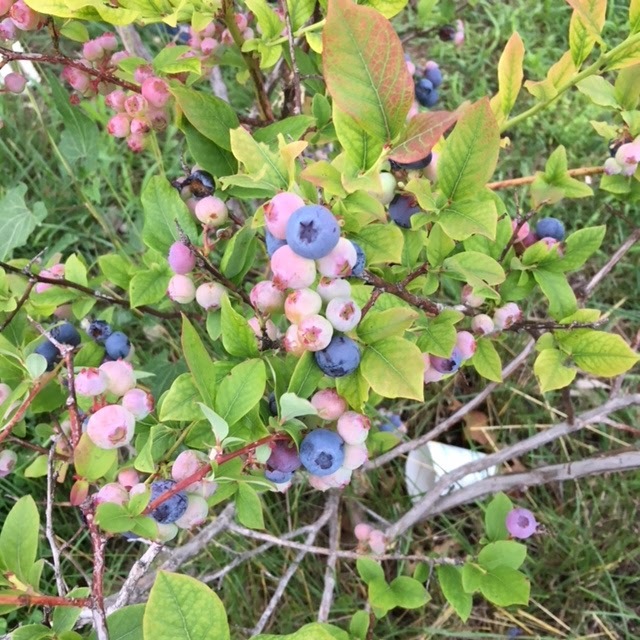 All the fruits vegetables grown in the garden are donated to feed hungry people. We donate on average 10,000 pounds of fresh, organic, fruits and vegetables to feed the hungry and have been doing so since 2000. Click Here To Watch A Video About the Garden! This year we are taking a big step forward. 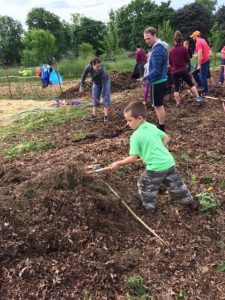 We want to feed even more people by building a greenhouse to grow plant sets for our garden and the 40+ other donation gardens in central Iowa. Tomatoes, peppers, broccoli, cabbage, and many other vegetables are started from seed in a greenhouse and then set into the garden as young plants to grow until harvest. Our plans call for the purchase and construction of a 20’x48’ permanent greenhouse beside the garden. The greenhouse will provide room to grow some 6,500 plant sets each year! 65,000 more pounds of food to fed the hungry!!!!! 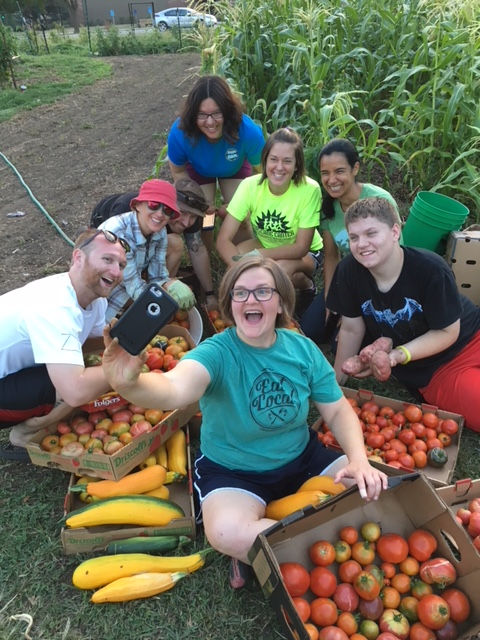 The Faith & Grace Garden has no paid staff; We are an all-volunteer effort. Our volunteers are a cross-section of our community. Volunteers come from surrounding neighborhoods and include schools, churches, civic groups and companies. We partner with local high schools and students earn community services hours as well as class credit. 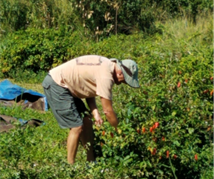 It’s Harvest Time…..we are now picking about 1,000 pounds of organic fruits and vegetables a week! 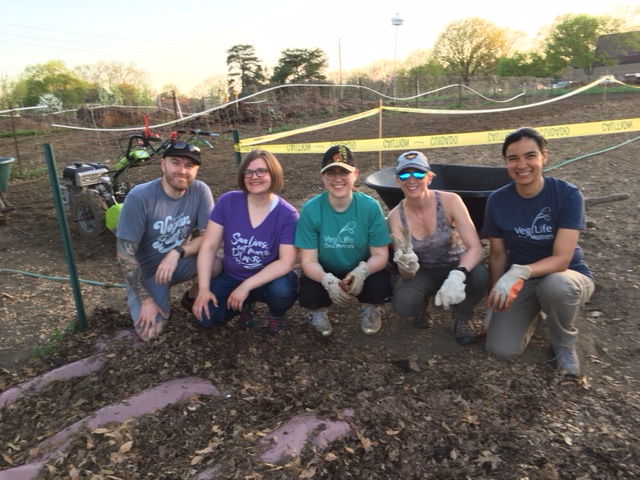 Volunteers From Vegelife Help in the Garden Every Monday Evening. 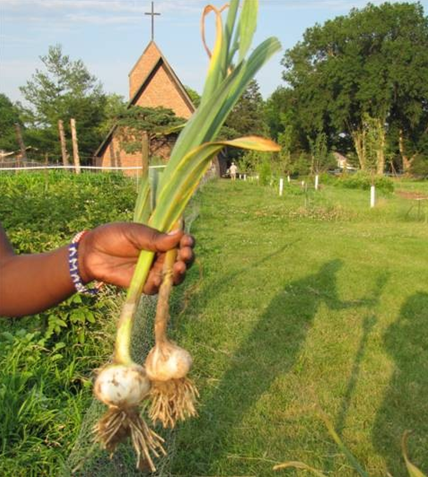 Garden volunteer hours are every M-W-F, 6:30pm until dark (weather permitting). So How Is All the Recent Rain Affecting the Garden? Well, since Friday, 5½ inches of rain has fallen in the garden with more rain in the forecast. This is good for the peas, radishes and lettuce that we planted recently. Those plants should germinate and thrive especially as the weather turns cooler. This weather is challenging for the tomatoes and melons which tend to split open when they swell from taking in too much water. So we really need volunteer help with the harvest when the sky is clear. Please come out and lend a hand! 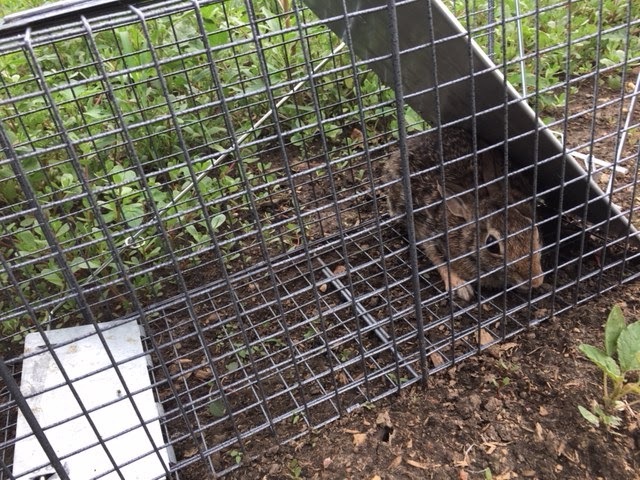 Chubby’s reign of terror in the Faith and Grace Garden ended last Friday night when he was caught in one of our new catch-and-release traps. As many of you know, Chubby and brother Tubby (still at-large), have been munching their way through our peppers, peas and beans since mid-May. Chubby was taken to an undisclosed location, and after a stern lecture, released on his own recognizance. He won’t be missed…. Come Garden in the Cool of the morning with us!! Volunteer time: Thursdays from 7am – 9am through August 30. Mornings are a beautiful time in the garden…the birds…the wildlife in the woods….and the quiet. Come out and beat the heat with us!! Thank you Ashworth Road Baptist Church Volunteers! 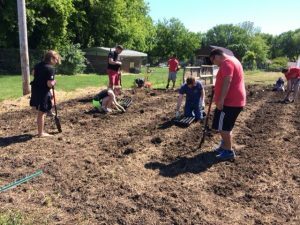 On Saturday morning 20 volunteers from Ashworth Road Baptist Church gathered in the garden and planted over 1200 row feet of potatoes. This is the earliest time in memory that we have had all the potatoes in the ground!! 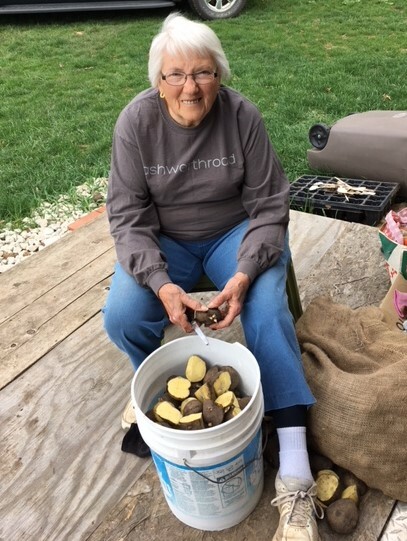 Mary Flynn, 86, (Second Photo Below) prepares seed potatoes for planting. When Mary is not in the Faith & Grace garden she is in her home. Last year Mary bought us nearly 200 pounds of cucumbers to donate!! VegLife Des Moines (3rd Photo Down) is a new non-profit formed by local vegans to help the veg community thrive and make it easier for more people to enjoy a VegLife in our community. They will be in the garden volunteering on Monday evenings. 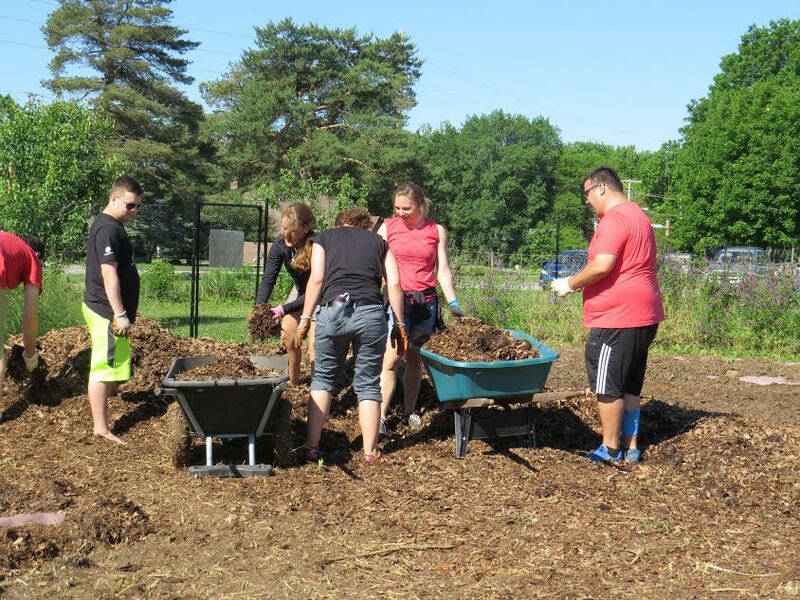 Would your group like to volunteer in the garden? Contact Tim Goldman for available dates and times. You can also volunteer as an individual or with a friend. To make volunteering in the garden easy, we’re using SignUp.com to organize our volunteer program. Why register? It allows us to advise you of last minute cancellations due to weather, and keep you informed of what we will be doing when you volunteer. The signup process may invoke pop-up windows that could be disallowed by computers running pop-up blocker applications – Please watch for notifications requesting permission to access and use the sign-up. The Faith & Grace Garden is waking up! 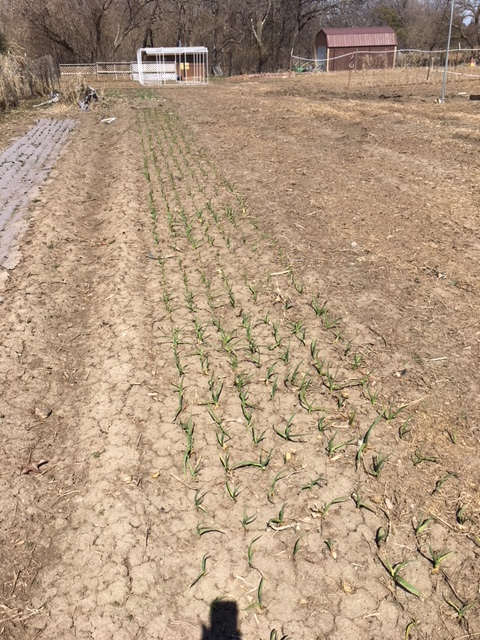 Onions and garlic planted last fall are coming up……we already have about 200 row feet of potatoes planted. 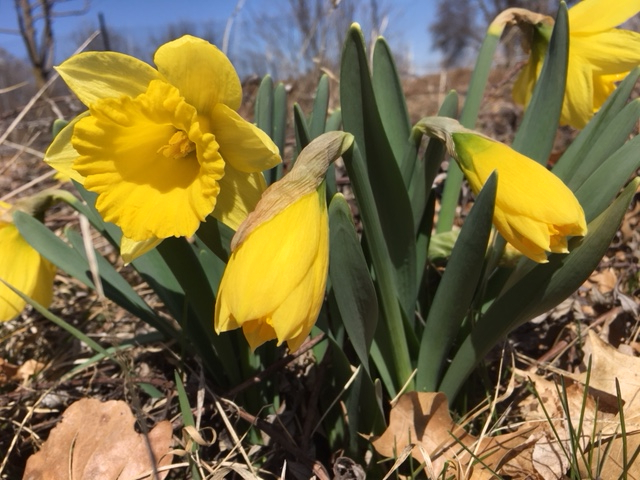 Volunteer hours for April are 5:30pm – 7:30pm on M-W-F.
To make volunteering in the garden easy, we’re using SignUp.com to organize our volunteer program. The Faith & Grace Garden – On the News! If you missed the news last night – You can still view the segment online. Thanks to the wonderful people at WHO 13 who helped us spread the good word about the Faith & Grace Garden!! 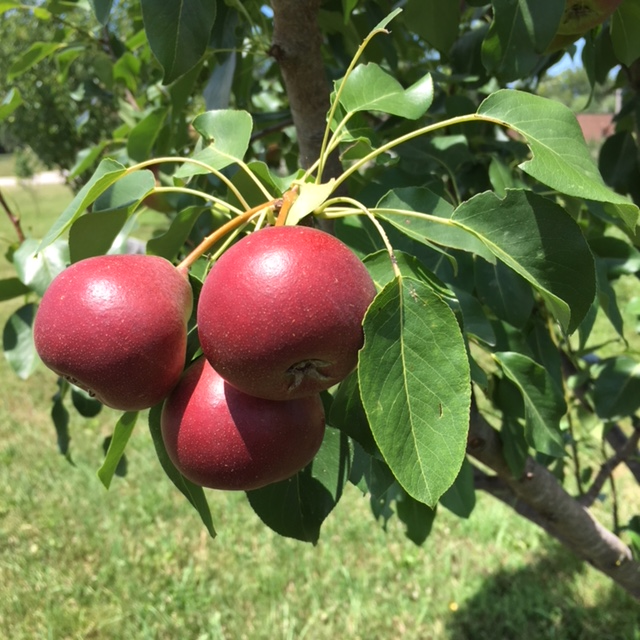 Come out this week and enjoy the mild weather while helping bring in the harvest! 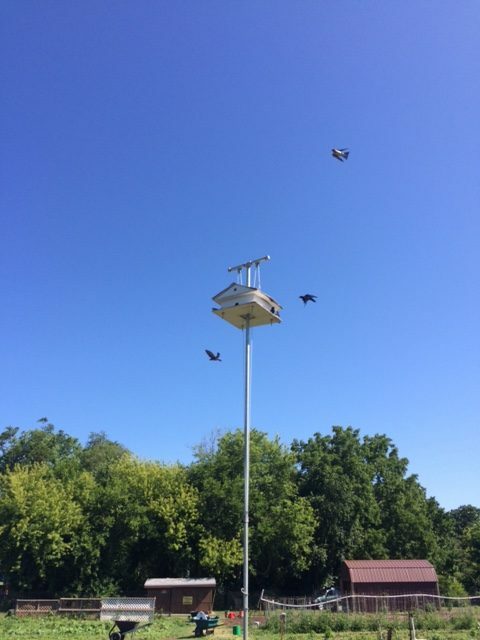 Busy Purple Martins get all their food by eating flying insects. They are an important means of pest control in the garden. As many of you know, Faith & Grace Garden Founder and Volunteer Number Uno Mark Marshall recently retired from the US Postal Service. We will be recognizing Mark for his 30+ years service at the Post Office and thanking him for his continuing dedication to the garden at our Garlic Festival on June 3. Please come as we honor Mark on Saturday 5-6:30pm in the Parish Hall at St. Timothy’s. Introducing our new 11 hp walk behind tractor! 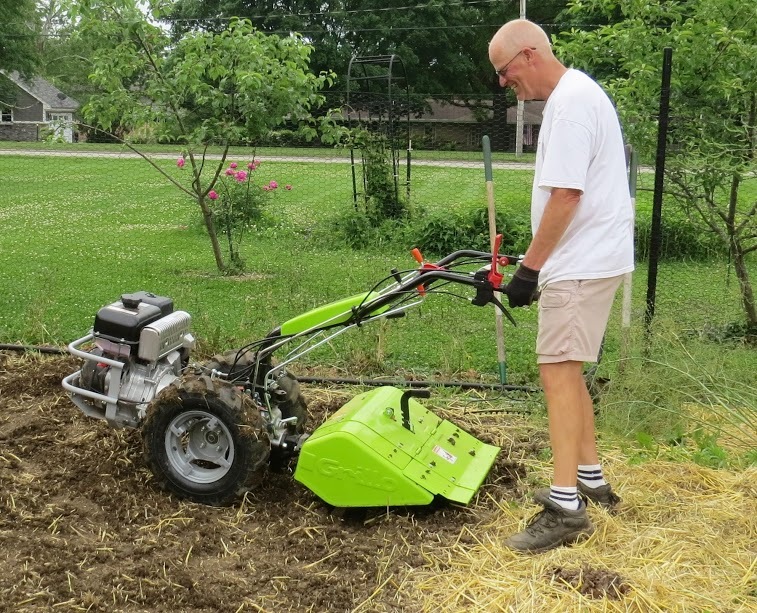 We have a wonderful new piece of equipment in the garden that is making our work easier, faster, and will boost what we can grow. Our new 11 hp tractor has a hiller/furrower, rear tine tiller and a flail mower. The tractor and all the implements were purchased with a grant from the BWA Foundation. We are very grateful for their support! Thank you Walnut Creek Church!!! WOW!! 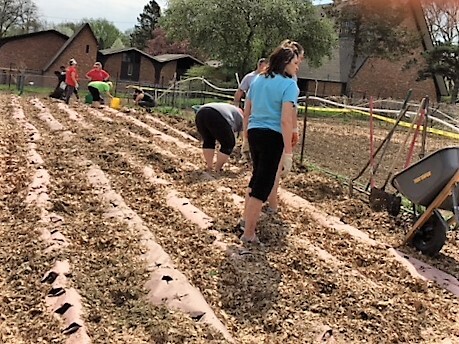 700 sweet potato plants, 4 rows of eggplants, 6 rows of cabbage and 2 rows more peppers planted over Memorial Day weekend by 56 volunteers from Walnut Creek Church. Lots of mulching and weeding was done, too! Meat dish, a vegetarian casserole and beverages will be provided.